Is your kitchen your favorite area at home? Does it still make you excited to cook, bake, and explore your cooking abilities? If not, you can blame it on your old, scratchy, and greasy kitchen. Makes sense? Then this article is for you! You can transform your kitchen into a new and vibrant cooking spot again without spending a fortune on renovations. Whether you are redoing your cabinets, applying a new coat, and changing countertops, there is an easy and cheap way to do it. This process is known as cabinet refacing, sometimes called as cabinet resurfacing. ​Clean your cabinets. Make it dust-free and grease-free as much as you can. Remove the cabinet doors. You will now temporarily remove your cabinet doors then apply plywood on the outer core or frame of your cabinets. The recommended plywood thickness is a quarter inch thick. 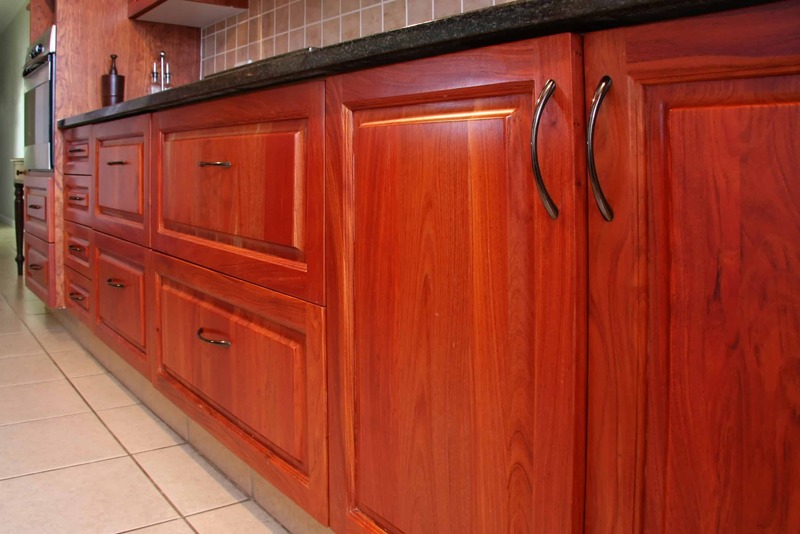 Thin plywood is recommended than the thick ones so that the form of your cabinet will not be distorted. You can attach the plywood by using wood glue then lock it with 2d finish nails. To make it look seamless, apply wood fillers on the traces of the nail heads. Smoothen the edges. After applying the plywood, smoothen the rough ends and portions with a sand paper. Measure the areas that will be covered. Carefully measure the parts of your cabinets that will be applied with the veneers. Draft your collected measurements on the veneer and provide an allowance of a half inch wider and two inches longer. This will make it accurately measured and seamless when fully attached. Cutting the veneers is easy, you just need a good reliable sharp utility knife and straightedge to keep the veneers aligned. Flatten the wood veneers to make it seamless. Once you have attached the whole strip, use a hard material to “iron down” the traces of the remaining air bubbles and to ensure that the adhesive completely sticks. Trim the excess. After sticking all veneers, use a utility knife to cut off the excess parts. It is important to use a sharp utility knife, so the trimmed portion will look fine. Hang back the cabinet doors. When the whole cabinet frame is now covered with the new wood veneer, you will now bring back the cabinet doors. You may provide the cabinet doors with new knobs and hinges to give them a new look. There are a lot of different designs for cabinet knobs and hinges for you to choose from. You may realize that changing those tiny details of your cabinet knobs will make a big difference. After this crafting, viola! You now have revived your kitchen with your latest favorite style and design! If you are still doubtful about this process, here are some advantages that can encourage you. Saves money and time. When you are thinking of the cost and time, cabinet refacing has a huge advantage compared to a whole new renovation. 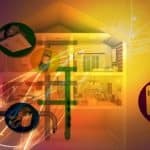 You can save almost 50% of the cost and it can be done in a week or even less. In cabinet refacing, you can immediately save a lot of money since you don’t need to remove everything from your kitchen plus, it is hassle-free. It saves time too, because emptying a kitchen to start redesigning it from scratch will cost you a day or two. Money is saved since you do not have to buy new materials and labor for modeling a new cabinet frame. Because of the money you saved, you can purchase from your extra cash some additional kitchen fixtures like an island or peninsula or even a new kitchen appliance. You can still use your kitchen. You don’t have to buy meals from the restaurants since you can still use your kitchen even it is under refacing. You go green. Reusing this cabinet means saving trees too. There will be fewer trees to cut since there will be fewer woods needed. refacing does not limit on providing new looks on kitchens because it can also be applied to bedrooms, bathrooms, or even your whole house. There are many of wood veneer design options. There are hundreds of wood veneer designs to choose from. There are a variety of colors, patterns, and kinds of trees which were used as an inspiration for these designs. ​Fewer staffs needed. There are lesser crews needed compared to a whole new renovation. You can do it on your own or with some help from your households. You can contact professional cabinet refacing crews. 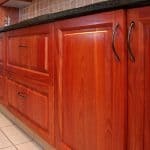 If you are too busy with your daily schedule, there are a lot of businesses that can do your cabinet refacing for you. Even hiring this crew will not be equal to the amount of renovating a kitchen from scratch. Now here’s to your new refaced kitchen cabinets! It will now provide you a new perspective and a new atmosphere for your kitchen adventures without emptying your pockets and wasting your time. A revived kitchen brings a revived excitement to your home and especially for you!